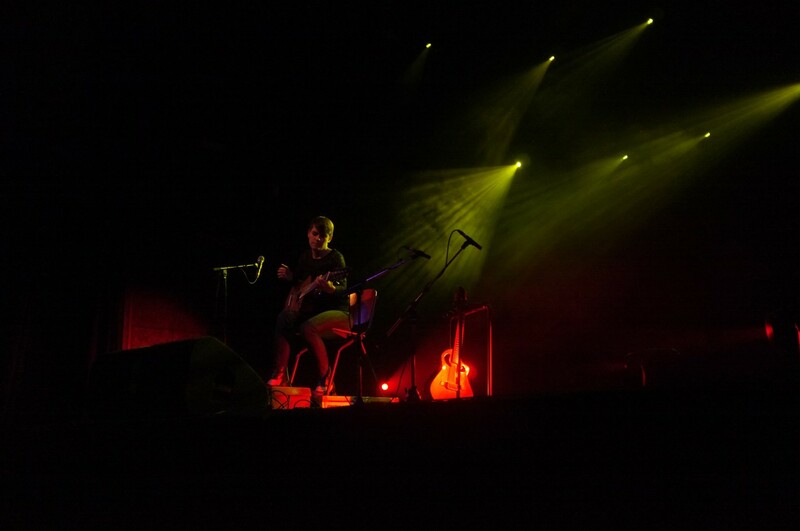 Kaki King not only had her usual Ovation guitar, but also a fan-fretted guitar and a small 12-string guitar which was tuned in such a way that there were 8 different notes over those 12 strings. That means that she had at least one note which wasn't in the diatonic scale if she strummed without holding anything on the fret. Crazy stuff.